‘Mowgli: Legend of the Jungle’ is an fantasy adventure film directed by Andy Serkis and written by Callie Kloves, based on The Jungle Book by Rudyard Kipling. The film (English Version) stars Rohan Chand, Matthew Rhys and Freida Pinto, along with voice and motion capture performances from Christian Bale, Cate Blanchett, Benedict Cumberbatch, Naomie Harris and Serkis. Recently, Netflix India, updated about the roles of Bollywood celebrities in the Hindi version of ‘Mowgli: Legend of the Jungle’ in lending voices. Anil Kapoor will voice for Baloo, the bear. 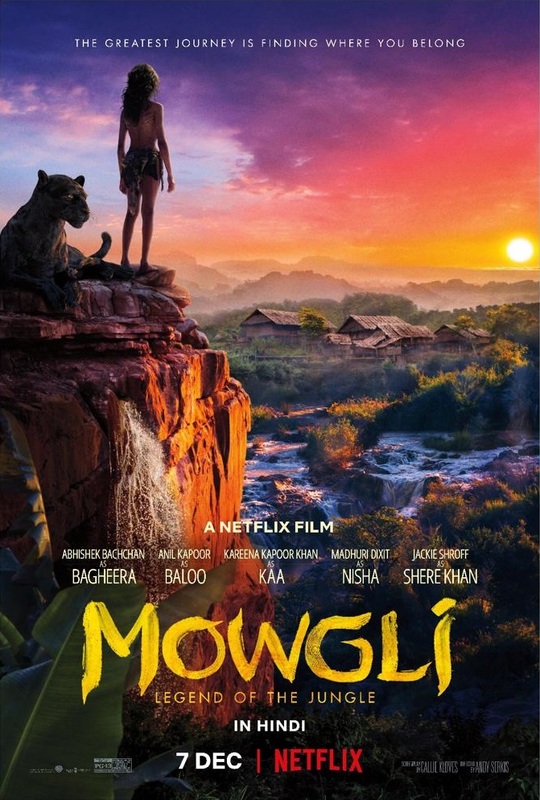 Madhuri Dixit as Nisha, Abhishek Bachchan as Bagheera – the black panther, Kareena Kapoor Khan as Kaa – the python and Jackie Shroff as Shere Khan – the tiger in Netflix’s version of Mowgli. Now, reports also say that director Andy Serkis along with Christian Bale and Freida Pinto will be visiting Mumbai for the world premiere of Mowgli: Legend of the Jungle on November 25. So happy to be a part of a story I have always loved. The film is set to be released in select theaters on November 29, 2018 followed by its subsequent digital Netflix release on December 7, 2018 worldwide.